It is a commonplace that you “cannot put God in a box.” It is an affirmation of the transcendence of God and of the limits of human understanding. It is also a common rhetorical ploy to shut down a theological discussion. But, let’s think a little more about the box. I am deeply averse to statements that begin: “God cannot.” They are often little more than bad theological reasoning. For example, “God cannot deny His justice.” This is often affirmed by those who assert that God “must” condemn some to hell. Sinners “must” be punished – God’s justice requires it and His justice cannot be denied. Even if the statement is granted, the rest of the corollary does not necessarily follow. For the mystery of God’s justice lies indeed “outside of the box.” If it is true that His justice cannot be denied, His justice remains incomprehensible to us. I cannot therefore insist that, based on His undeniable justice, God “must” do one thing or another. 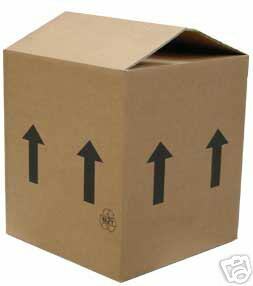 But there is a much larger problem concerning God and the Box. We live in the Box. We are not infinite creatures who live in an infinite universe. We are limited, circumscribed, utterly bounded by our own ignorance. The only God who can be spoken of is the God who enters the Box. This is the Christian proclamation. When the Gospel of John says, “The Word became flesh and dwelt among us,” he could just as easily have said, “God came into the Box.” God not only entered the Box, but did so in a way that can be known and spoken of. It is significant that St. John chose the title, “Logos” (Word), when speaking of Christ in the prologue of his gospel. He could have used any number of other titles for the Second Person of the Trinity, but he chose to speak of Him as the Word, the Logos of the Father. For this aspect of Christ is uniquely related to the Box. The Liturgy of St. John Chrysostom says of God: “For You are God ineffable, inconceivable, invisible, incomprehensible, ever-existing and eternally the same.” The Church confesses from the beginning that God transcends the Box. But it also confesses that this same God, in His love for the world, entered our world in such a manner that He might be known and spoken of. He came into the Box. This is the great difficulty in Christian theology: we are not speaking in the abstract or ideal. Were that the case, then the infinite flexibility of ideas would be our playground (sadly, much modern theology is done in this manner). But we deal with a God-in-the-Box. And this God has made some very specific things known about Himself. To recognize and confess these specific things is not “putting God in a box,” but admitting who the God is Who put Himself in our Box. God outside-of-the-Box very quickly becomes a cipher for whatever we choose to consider ultimate. Outside-of-the-box is a simple blank slate available for every imagination. Of course, imaginary gods are not God at all, only idols that we make for ourselves. Even to attribute certain characteristics to the God outside-the-Box is meaningless. As imaginary attributions, they are just guess work, or worse. It is only the God Who put Himself in the Box that can be discussed or considered. And we know Him only because He makes Himself known. And this is very bothersome. For a God outside the Box is far more convenient and subject to the imagination and safe from any authoritative meddling in human affairs. Such a God, while interesting as an abstraction, is actually no God at all. And this brings us back to the Box. It’s possible to complain that someone is “putting God in a Box,” but it really isn’t the problem. The God outside the Box is no God at all. The real question is a little different. The question is whether the God someone has in the Box is actually the true and living God and whether or not they are willing to get in the Box with Him. Everything that can be said about God belongs to the realm of the particular. For Christians, the only God that exists is the Holy Trinity, that is to say, God as He has been made known through the God/Man Jesus Christ. That “Box” does not confine God, but makes Him known. And there is much that comes with the Box. This God has a history, marked by His relationship with Abraham, Isaac and Jacob. He has said specific things and made Himself known. As the only true and living God, He is the most “particular” of all things, the Transcendent Particular. The difficulty for us who live “in the Box” is that God is indeed particular and has placed Himself in the Box as well. Our trouble is not in knowing God, but, in that He has made Himself known, how do we live with what He has said? The reality and presence of Christ are not abstract or hard to know and find. They are present, even obvious. And that is where our discomfort begins. And with the discomfort, others will beg us not to “put God in a box.” We prefer to have Him elsewhere, imaginary, pliable, and congenial. But He loves us too much to stay out of the Box. God is in the Box. Listen to Him. Thank you, Father! Blessings to you for your endless encouragement and insight. I really do not understand this at all. So what about the Spirit? This seems to be the flip side of the reality David Bentley Hart discusses in The Experience of God. True Christian faith is this paradox; it is faith in the completely Transcendent One who has made Himself “Immanuel, God with us” in Christ. As a college professor for many years in an art department (I am an art historian), I always bristled at the urgent advice of some of my studio art colleagues to their students to “think (and by extension, do) outside the box.” The problem with that, in art as well as life is, one has to first be fully familiar with what’s within the box before going outside it. Otherwise what we seemingly create is nothing but an extension of our own ego. As Byron said above, thank you, Father. Blessings to you for your endless encouragement and insight. This blog helps keep me sane and in the faith. Janis…Father did mention the Holy Trinity. In the Jesus prayer no direct mention is made of the Holy Spirit. But St. Paul wrote that no one can say, “Jesus is Lord” except by the Holy Spirit. And more than once Paul mentions the “Spirit of Christ” or the “Spirit of Jesus”…Acts 16:7, for example. Hope this helps. Any takers yet of someone to help on your farm? I made reference to God as Trinity. What specifically is your question? This is a great analogy, Thank you. Thank you Fr. Stephen for again focusing me back to the reality that GOD will do what he will do, the question always becomes can I see him in his blessings and actions, and can I accept that he is going to do what he will do. I always want him to do what I would do, which is always a great desire for us humans, and from the deceiver. This helps me in my recent meditation on Jesus’ response to “John the Baptist’s” question in Matthew 11: 6. . . ” blessed is he who is not offended because of me”. Very strange ending to the answer to John’s question, and one that makes more sense in this analogy, since Jesus came into the box for us to see Himself in the particular; our response now is not much better than the Pharisees then. (they show up immediately in Matthew 12: 1, the next verse, with a very specific, “in the box confrontation”. I am always saying :” surely you don’t want me to forgive that ?” do you really plan to do this ?”. We in the box, like the first disciples, have difficulty accepting Jesus for what he said and did in our particular box. He is always bringing us back to His plan, by His words and actions; Our choice is simply to give up our plan and follow Him, or not. I pray that I can cast away the box of my construction and accept his way – and not mine. He is GOD that does and shows us the impossible – can we accept and see it, or are we so short sighted to never look beyond Our boxes. Thank you again for the blessing of this post and your blog. God outside the box is a bit like nitrogen in our atmosphere. The biggest component but mostly irrelevant. An inert amorphous gas. God has not revealed His attributes, (he has no attributes)… but His being and “glory” are revealed in Christ. Being and attributes are wholly different. Even “being” is not a good word, since being has its being in God’s being. Attributes are a posteriori epistimelogical “add ons” to God. God’s Being (as Love and mercy) is a priori and constitutes epistemological knowledge and all other contingent being by likeness to Him. What has been revealed about God’s being is that He IS (not has) Love. Mercy is not an attribute in this sense, as it flows from His being. I think one can rightly call God just if that “justice” has in mind a absolute connection to God’s mercy and Love, and no other earthly attributive notions. Alas, we seem quite unable to make that distinction. Saint Issac of Nineveh is quite profound in this. Justice as we know it and mercy as He reveals Himself are quite incomparable. It occurs to me that the while the psalms and hymns of traditional Christianity celebrate the revealed nature and acts of God, many modern praise songs and devotional books tend to make vague references to the “outside the box” aspects of God. No doubt it’s easier to keep the attention on our own emotions and unnamed desires of God, especially in a culture which has effectively no commonly held theology. I recently attended a small group meeting on the Lord’s Prayer, and a man there was talking about the word Father, and how it was interchangeable with Mother if that term better suited the listener. It seems strange to me that we can treat the things God reveals about Himself so inconsequentially. Praise God for revealing Himself to us as He has! It has been said that there is no similarity whatsoever between God and his creation. However, by descending into the box the Logos became flesh and his body was made of matter and molecules that are a part of created reality. Can we then say that at a certain point in time God’s own creation becomes a part of God? Even what we think of as strictness and justice is, in fact, God’s mercy. There is no polarity within God (mercy vs justice). That would be heretical. Such a person either lacks knowledge, or doesn’t know God. God is not named as Mother. God is certainly “other” than His creation. But everything was created through the Logos, and has its own “logos.” The “logoi” of creation certainly have a similarity to God. They reflect the Logos. Knowing them is a deep thing. Re: “God the Mother”, there are the mother-hen images in the Psalms and the Gospels, but apparently even that might have a Christ-the-Bridegroom double entendre in the context of Ruth. As I understand it, God (or even persons such as you and I) do not properly “have” attributes (I am a sinner – is sin a proper “essentialist” attribute of my person? no thank God!). So, if God IS “Love and mercy”, then love and mercy are simply names by which you mean something as apophatic as ” the Incomprehensible God” and “I am who am” and the like….except, that is not what you meant is it? No, you had a certain non-apophatic, *positive* understanding of “love” and “mercy” in mind. You probably opposed it to “sin”, “death”, possibly even “justice” – this opposition might have even took place dialectically in the rational mind. It’s also interesting you bring up St. Isaac, who some believe had an “essentialist” (one that degenerates into a rational simplicity) doctrine of “Love” and thus ends up in these dialectical cul de sacs, where he refuses to say “God” suffered on the Cross (or “Logos”, only “Christ” – I don’t have the background to confirm or deny this). If “justice” is not the correct term and characterization for the rich man vis-a-va “a great gulf”, and “mercy” is, how do you explain or characterize the mercy that the rich man is receiving here? Grace is not only cheap, it’s free. But not in the way we imagine. It is truly gratuitous. But, in the matter of attributes and God “is” love, etc. These are energies of the Divine Persons. They are not attributes, but belonging to the realm of being – though not identified with the essence, but with the energies. I am simply amazed, repeatedly, that the Lazarus story gets used to describe a “topography” of hell and heaven and the rules. This we do not know. For the purposes of the parable, that’s how the story is told. But the story is not told for the purpose of topography. The Church certainly holds the possibility of “getting out of hell”. Not universally, but certainly possible. It’s why we pray for the dead, “For no man liveth and sinneth not.” There are ample stories in the Fathers of souls being freed from hell. It’s not Isaac’s explanation, but a different one. It’s not universalism, but things are nearly as fixed as we imagine. Christ truly enters the depth of hell (not just some mild Hades thing). He does so that He might save us. For we are all in hell until we are not. Christ was in hell for the Rich Man. He was there in the person of Lazarus, day after day. A single crumb of mercy might very well have saved him. But God indeed provided his way out of hell over the course of his lifetime. The Rich Man prayed to Father Abraham. He should have prayed to Lazarus, asked for forgiveness and mercy. At Lazarus’ word, he would have been saved. But he still saw Lazarus as an object, a poor servant, and not his savior. Mercy was always there, but the Rich Man refused it. God is a universalist. But apparently, we are not. And in that lies the problem of our hell. Those are images, similes, “like a hen…” That is not a revelation of His Name. He is Father. Granted….and this is why I avoid the language of such a short hand and try to reorient thinking. Too many of us have an idea of God as a being with attributes. This is manifestly a wrongheaded idea and language which reinforces it – even in short hand – is in my mind unhelpful. You are confusing epistemic knowledge by direct revelation of the Spirit with God’s being. This is exactly the point Fr. Freemen gets at with his “in the box – out of the box” commentary. When you bootleg your understanding ON me “No you had a certain non-apophatic *positive* understanding of “love” and “mercy” in mind…” you are quite both on and off base…(beyond reading into my thoughts and affirmations what you *think* I mean). I have no cataphatic understanding of Love outside continued revelation and theosis in Christ…and this only in degrees limited by my own sin…therefore, Apophaticism still defines my experience of love in a mirror simly, and I am absolutely limited to a kind of apophaticism beyond continued theosis. …”it is impossible to express God and even more impossible to conceive Him” because they know by their experience that there is no similarity whatsoever between the created and the uncreated. God is “unmoved mover” and “moved” and “neither one, nor oneness nor unity,. nor divinity… nor sonship, nor fatherhood, etc.” (accurately describes Him) The Bible and dogmas are guides to… glorification. They are not ends in themselves and have nothing to do with metaphysics, either with analogia entis or with analogia fidei. This means that words and concepts which do not contradict the experience of glorification and which lead to purification and illumination of the heart and glorification are Orthodox. Words and concepts which contradict glorification and lead away from cure and perfection in Christ are heretical. Most historians of dogma do not see this because they believe the Fathers were, like Augustine, searching by meditation and contemplation to understand the mystery of God behind words and concepts about Him. They induct even such Fathers as Gregory the Theologian into the army of Latin theology by translating him to say that to philosophise about God is permitted only to “past masters of meditation,” instead of “to those who have passed into theoria”, which is vision of Christ “in a mirror dimly”, by “kinds of tongues” and “face to face” in “glorification”. The Fathers never understood the formulation of dogma as part of an effort to intellectually understand the mystery of God and the incarnation. St. Gregory the Theologian ridicules such heretics: “Do tell me, he says, what is the unbegottenness of the Father, and I will explain to you the physiology of the generation of the Son and the procession of the Spirit, and we shall both of us be frenzy-stricken for prying into the mystery of God”. “You probably opposed it to “sin”, “death”, possibly even “justice” – this opposition might have even took place dialectically in the rational mind. Dialectical cul-de-sacs are certainly what one will run into whenever one is determined to continue on a dialectical path. Dialectics are necessary for us as a starting point…but St. Isaac had no intent to stop there me thinks. You pigeonhole me into that dialectical mode…when my goal as an Orthodox Christian is to eschew the dialectic wisdom of this age and speak in and with the Spirit in an effort to move past dialectics. Christ has affirmed in His person what the Love and mercy of God IS (in part – in “our box.”) We will spend eternity being immersed timelessly into the depth of His revelation of his being as Love, which is inexhaustible and unfathomable, but will fill us with its fullness eternally without being fully comprehended. Again, “justice” I think can appropriately be used in connection with the revelation of God…but is most often used as a buttress to limit the mercy and Love of God and put Him in the “Box.” His “justice” is revealed as well…but that “justice” in bound to His revelation of Himself as Love, not the other way around. Again, there is simply no comparison between Love (God) and justice. You will never find God described as justice in the Scriptures…but you will unabashedly see him affirmed as being Love. “mishpat” as justice in the sense we give it linguistically is quite off the mark. Semantically it is more akin to Love and what is “worthy;” i.e. mercy and compassion – see Isaiah 30:18, etc. If you must think of God a “just” so be it. It is clear to me that you definitively do not set this up in opposition to or as a buttress against Love. The gulf is “fixed”, and those who want to pass (who want to repent) “cannot”. This is not “imagination”, this is the parable as we have it. Are the words “fixed” and “cannot” not being translated cleanly? Do they *mean* something else? Does not “those who want to pass from here to you…” imply sincere (if not a true) repentance? When you say “He should have prayed to Lazarus, asked for forgiveness and mercy. At Lazarus’ word, he would have been saved.” I again love the beauty of this mercy – but it’s not in the parable that I can see. Can you could point me to something in the NT that transform this “fixed gulf”, this “those who want to to pass…cannot” into something that is not so clearly permanent and topographical (for a “gulf” or “chasm” is the language of topography – or is this translation again)? Forgive me – I did “attribute” to you a certain thinking! I am not denying judgement, nor hell. But it is simply the teaching of the Church that some can be released from hell, cf. the prayers of Pentecost Sunday Vespers. You’re trying to make this an argument about St. Isaac’s teaching, and I’m not saying that at all. Only that the incidentals of a parable are not meant to become the dogma of heaven and hell. It’s a mistaken use of the Scriptures. It has been suggested by some that the gulf that is fixed is a gulf that exists in the heart. That, sir, is one of the best statements on the subject I have ever come across. Indeed. This is a much better way to approach a parable. Parables are obviously, the least susceptible to literalism. I think you have a “bee in your bonnet” because of some recent stuff viz. Orthodox universalists. I’m not interested in beating that horse – it becomes a distraction. More to the point, is knowing the true inner character of judgment and hell (I do not think they have much of an “external” character). But precisely what they are, and of what sort, is pretty difficult ground. Why is this a difficulty for you? What I know is that the “beat them over the head with hell” stuff is of little interest to me. Frankly, it’s often a conversation that hides the darkness of our hearts. I have repeatedly said that I hold what the Church teaches and I do not advocate universalism. But I understand some of them and am not interested in having that fight. With AJ, I would recommend reading some Romanides. What I know is that the “beat them over the head with hell” stuff is of little interest to me. Frankly, it’s often a conversation that hides the darkness of our hearts. Thank you, Father. The promise of everlasting torment to the wicked to make up for the evil they have gotten away with in this life has helped attract me to the idea of God, but having converted I cannot look back on that desire as anything but my own wickedness that I must repent of. Come to think of it, that’s probably my biggest intellectual problem with the idea that God actively punishes the damned for all eternity, and why I couldn’t be a Christian until I learned of the existence of a church that both fails to teach that and has a tenable claim to being the original Church founded by Christ: no “justice” in which vengeance takes priority over all else can possibly be good (and if that is what absolute good is, then better to be absolutely evil! ), and that primacy of vengeance is the only thing that could explain a framework in which the eternal torment we are threatened with only (or primarily) exists because God wills it to exist intending it as punishment. From all of the holy lives that I’ve read, the proper attitude towards hell and judgement, is to pray fervently for the wicked and to number yourself among them. Pretty much everything else is a darkening of the heart. Because any theology that does not take revelation (such as Matt 25:46) seriously (or, in it’s grappling, re-reinterprets it) it is simply not the truth – it’s rather philosophy. It may make us *feel* better and resolve dialectical quandaries (which are at bottom emotional, a certain *feeling* about what love is supposed to be) but it is not the truth, however comforting here and now it might be. This philosophy currently popular and “Orthodox”, reduces the Judgement of God to “vengeance” in the name of His Love which, frankly, looks alot like a “process” of some sort (this philosophy that is) justified as healing and theosis classically experienced. Those who do not re-reinterpret revelation/Tradition into this new philosophy are “infernalists”, “vengeful” (or worse, God becomes “an avenger” – see your new post). I also think there is a link between this philosophy and so called “necessary evil” – a certain kind of pacifism which in the end is evil itself, etc. It’s a bunch of hooey – which would be fine, if it was not a temptation. It is not clear to me how you can believe that Fr Freeman is not taking hell/judgment seriously, or that is he re-reinterpreting it. And what may be the foundation of your interpretation? On top of Ryan’s question: What is your interpretation? It seems that we might be inferring things you do not mean to imply. Thank you for your comments on this topic. I too like Matt was troubled for years over a God who would eternally take vengeance over what someone had been guilty for for a mere 70-80 years. Over and again we are enjoined in the scriptures to be merciful and forgiving to our enemies. Would God do less? I was just relistening to a podcast by Clark Carlton in his faith and philosophy series on Ancient Faith Radio , specifically , “Hell, a Modest Proposal. ” He does a very good work of explaining how in modern versions of the Bible the terms “hades” and “hell” have been conflated making for some very unfortunate translations and especially interpretations. Hades of course is the abode of the dead divided by the Jews between the Bosom of Abraham and Sheol. And Gehenna is the term Jesus used for hell meaning the place of eternal suffering. He then explains how over the centuries these terms became confused. This is why protestants see sinners as going directly to hell and the righteous as directly to heaven. But this view vitiates in some ways the need for the resurrection and final judgment. I hope I’ve done him justice. Best to listen to his podcast. I know it helps me to hold in my mind the distinction between the two. Again, why is this complaint levied here? Were you to look at the whole of my blog you would find precious few articles on heaven and paradise. (I can’t think of any). What I have written viz. hell is not to question its existence or guess about its length, but to examine what it means now – in the heart. And the reason for this lack of treatment is simple. I’m not terribly interested in speculating or dogmatizing about life after death. It is in the hands of God. I am deeply interested in paradise now and hell now and they seem quite real and significant. But I’m not interested in having somebody else’s argument, one way or the other. I write about what interests me and what I know. The rest is just asking for trouble. The Mystery of Incarnation… Bravo! (the third sentence from the end needs fixing: “He loves us too much to SAY out of the Box” -> “to stay out of the Box”). The gulf is “fixed”, and those who want to pass (who want to repent) “cannot”. Perhaps I missed something here but where does it state that they wish to repent as opposed to simply leave where they are (still unrepentant) or be comforted where they are? Part of the problem with us trying rationally pin our understanding of concepts such as justice and mercy to God is that we tend to see these as separate “constructs.” Father Louis Merton (Thomas Merton) had suggested in one of his books (can’t remember which one) that in God, His Justice is His Mercy, and His Mercy is his Justice and both are manifestations of His Infinite love. This would also seem to fall in line with St. Isaac the Syrian. The other problem is that we tend to see justice as a strictly legal issue, note such phrases as “cold justice” or “blind justice”. This statement of yours raised this question within me: In Orthodox Christianity is there a genuine and true distinction made between the Father and Son? St. John in his Gospel said, “No one has seen God at any time. The only begotten Son, who is in the bosom of the Father, He has declared Him.” (1:18). This would appear to correspond to what St. Paul said in his first letter to Timothy, “I urge you in the sight of God who gives life to all things, and before Christ Jesus who witnessed the good confession before Pontius Pilate, that you keep this commandment without spot, blameless until our Lord Jesus Christ’s appearing, which He will manifest in His own time, He who is the blessed and only Potentate, the King of kings and Lord of lords, who alone has immortality, dwelling in unapproachable light, whom no man has seen or can see, to whom be honor and everlasting power. Amen.” (6:13-16) In saying, “No one has seen God at any time” and “whom no man has seen or can see”, both St. John and St. Paul seem to be speaking of the Father indicating that He is the one who is ineffable, uncircumscribable, invisible, and ultimately unknowable apart from Christ who is His icon to creation. Based upon St. John Chrysostom’s quote from the Divine Liturgy it would seem as though he is referencing the Father rather than Christ who became circumscibed for us. Yet you seem to be acribing this language to Christ rather than the Father. Perhaps you meant that this language applied before His incarnation? But was Christ really ineffable, invisible, uncircumscribable before His incarnation? I have read in the ante-Nicene fathers that the God who appeared to man (in the box) in the Old Testament was Christ and not the Father who could not be known nor ever seen by mankind. St. Justin in his Dialogue with Trypho talks about this at length explaining how it is that Christians believe Christ to be divine just like the Father while still maintaining the monotheistic belief that there is only one God. His argument seemed to rest on the fact that the Father is the only underived being, that even Christ the Son of God derives His being from the Father ultimately. For Justin this would make the Father the only true God in the highest degree since He is the Source and Originator of all including Christ and the Holy Spirit themselves. The reason I bring this up is because there appears to be quite a bit of confusion when it comes to the Trinity. A lot of people, it seems, see no significant difference between Christ and the Father. For instance, there is that Roman Catholic picture depicting Christ and the Father together almost as though the Father has become incarnate and circumscribable. There is also the Roman Catholic insistence on the filioque which basically equates Christ with the Father in the procession of the Holy Spirit. There is the story and picture of when Joseph Smith allegedly saw both Christ and the Father as though they were twins of some sort, again indicating an incarnate existence for the Father. I was in a bible study class one time and the subject of Christ’s atonement on the cross came up and the leader made the comment that it could have just as easily been the Father who became incarnate for us and most people in the class saw no problem with that sentiment. I couldn’t believe what I was hearing! I’m sorry if this is completely off topic, but your comment on St. John’s liturgical quote brought this up within me. Forgive me if I’m off base on this. Would you mind speaking about this some to clear up any mistaken confusion? Thank you for you time! I largely agree with your observations on the Trinity. And, in St. John, that language does indeed refer to the Father. But in that Christ makes Him known (in the Box), it is also appropriate to speak as I have in the article. There is, of course, a clearly connection between the Logos and the Creation. But it would be a mistake to simply identify the Second Person of the Trinity as God’s Immanence. It is an aspect of Christ, but should not be used in too all-encompassing a manner. Good Trinitarian theology is largely the provence of Orthodoxy, and it gets fuzzy elsewhere. Justin’s language should also not be taken to mean that the Son and the Spirit are not God. But the Son is “God from God,” etc. The dogma of the Church says that the Father is the “source” (pege) of God. He is the “arche” as well. But when we speak of the Logos, we must do so in a manner that preserves the Divine Irony. “The uncircumscrible became circumscribed,” etc. In referencing St. Justin’s argument it wasn’t my intention to say that Christ and the Holy Spirit are not God like the Father. The fact that they both come from the Father’s being or hypostasis indicates that they are. But, like you said, the Father is the source, the arche of God (meaning divinity, I assume?). Isn’t this why Christians confess the one God as the Father in the creed, because He is the source, the arche, of all? “We believe in one God, the Father Almighty, the maker of heaven and earth, and of all things visible and invisible” is the common refrain of all classical Christians. It seems as though a lot of trinitarians have shied away from this language, however, since they deem it as demeaning to Christ and the Holy Spirit in some way. The reasoning goes, “In saying that God the Father is the source and origin of all things including Christ and the Holy Spirit, you are relegating them to a less than equal status with the Father, thus signifying some sort of hierarchy in the Trinity rather than co-equal Persons”. I have heard people speak like this and label those who believe such things as semi-arians rather than fully-fledged trinitarians. The way I understand it, if Christians do honestly believe that the Trinity is truly monotheistic rather than tri-theistic or poly-theistic, then an understanding that the Father is the one God precisely because He is the source, the arche of all is absolutely necessary. Otherwise, if Christ and the Holy Spirit are auto-theos (a term only used of the Father in the New Testament), then there truly are three Gods the Christians believe in. If you have the time and inclination I would appreciate your thoughts father. Thank you! Fr. John Behr at St. Vladimir’s stresses this teaching (it’s very much the Cappadocians) and it’s certainly correct. He gets a fair amount of push-back from students who seem sensitive to any subordinationism or even a hint of Arianism. It is, of course, nothing of the sort, but is simply carefully parsed Trinitarian doctrine. Correction: I don’t think autotheos (i.e. God of Himself or self-existent God) is used in the New Testament as a term. However, if I’m not mistaken, it is not a term that is rightly applied to Christ or the Holy Spirit since they both originate and derive their being and divinity from the Father. Am I correct in this or perhaps I’m misunderstanding the orthodox trinitarian teaching? I think you’re correct. I would strongly suggest reading Zizioulas’ Being as Communion. For though it is true that the Father is the “Source” of the Godhead, we must be careful to think in an eternal, timeless manner. The Father does not exist apart from the Son and the Holy Spirit. It is correct to say that the Father constitutes His being in that He begats the Son and proceeds the Holy Spirit (strange verb). You cannot be “Father” unless there is the Begotten. So, Trinitarian thought always forces us to hold things dynamically. Orthodox Trinitarian theology is so deeply important. It is also the foundation of how we understand salvation as well. Orthodox dogma is a seamless garment. Thank you father, that’s great to know. I feel much better knowing that my understanding is indeed orthodox (even with a big “O”, lol). It does become kind of disconcerting when others who profess to be orthodox trinitarians denigrate this understanding as something heretical. I have been moving closer to taking that step to become an Orthodox Christian. With what you have said it would cause me great relief to know that the Orthodox Church upholds this important understanding. I agree with you, outside of orthodoxy, trinitarian teaching becomes fuzzy indeed. Thank you again! Thanks for your further reply father. Yes, indeed, the Father could not be the Father without the Son. And if God is eternally (i.e. without change) the Father, then He has always been the Father. And the Son has always been the Son without change. And the Holy Spirit always proceeds from the Father without change. Eternity is such an alien concept to those who know only of change. Just to dwell on this a little more, do you think this is why the filioque is such an important doctrine to dispute, because it disrupts the simple and beautiful concept the the Father is the source, the arche of God? If Christ is the source and arche of the Holy Spirit as well, then it cannot be said that the Father is the source and arche of all. Did the fathers make a mistake at the council of Constantinople I when they formulated that the Holy Spirit proceeds from the Father with no reference to the Son? Or perhaps they were being very accurate and specific, or in your words it is “simply carefully parsed Trinitarian doctrine”? I think the latter is the case. The filioque, if interpreted as “double-source,” is a repudiation of classical Orthodox dogma.